Creamy Mixed Lentils made using 5 different kinds of lentils along with a mix of tomatoes & onions. 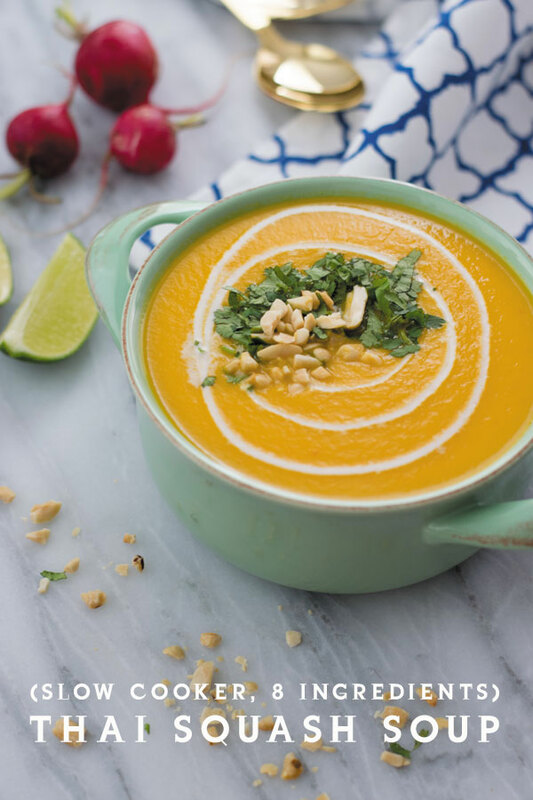 Great served as a soup with toast or over rice or along with some chapatis! WHOLE FOOD that is just not nourishing but comforting too! 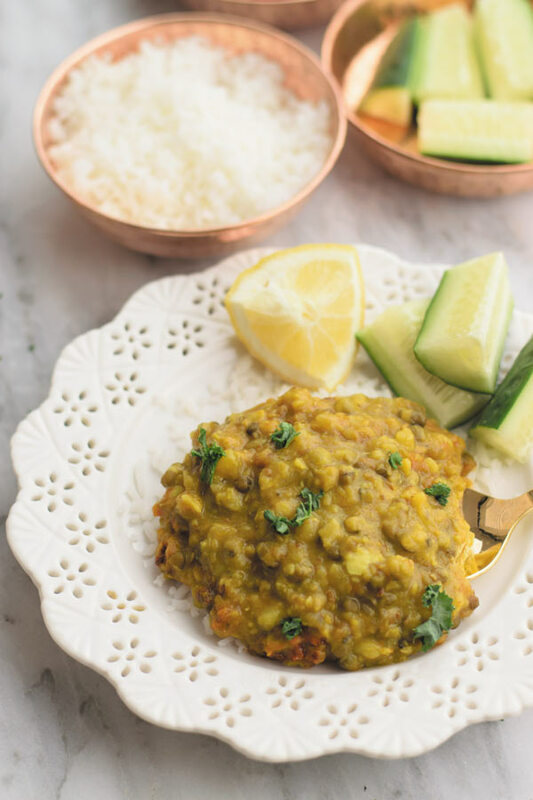 Today I am sharing another of my favorite lentil recipe. There are so many different kinds of lentils and so are the ways to cook them. In a normal Indian household, lunch always always consist of some kind of lentil along with some sort of greens, bread and rice. Atleast that was the case at our place growing up and at that time I wasn’t grateful enough for fresh home cooked meals I had the luxury to eat every single day without even lifting a finger! But now since I do all the cooking, there are days cooking even simple meals takes lots of energy. 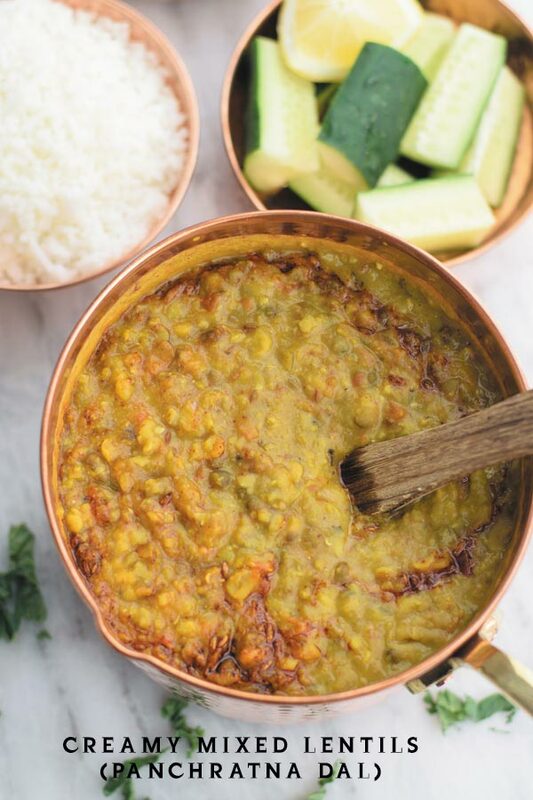 Lately I have been cooking lots of nourishing Indian meals and among all the lentils I cook, these kind are by far my favorite! Just next to my all time favorite Creamy Dal Makhani which I can never have enough of when served to me with soft garlic naan! 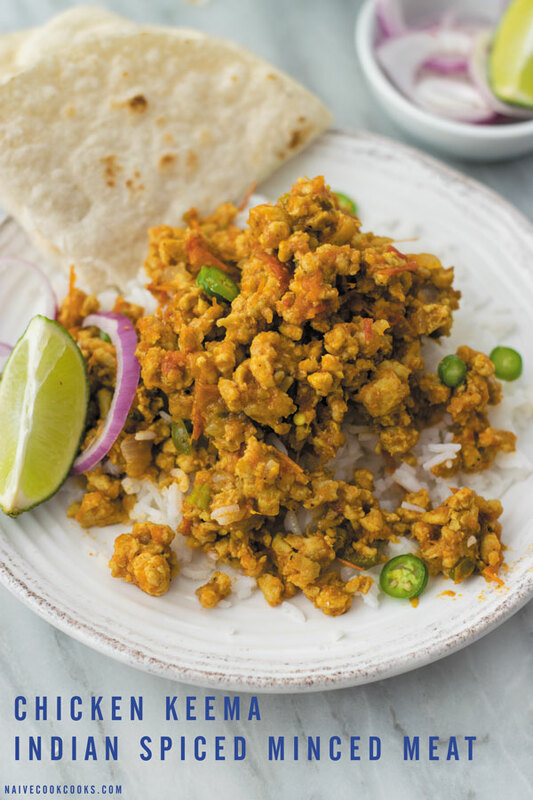 Lentils are a great way to get your protein especially if you are a vegetarian. Lately I can’t stand poultry so lentils have been my friends to get my needed protein intake. 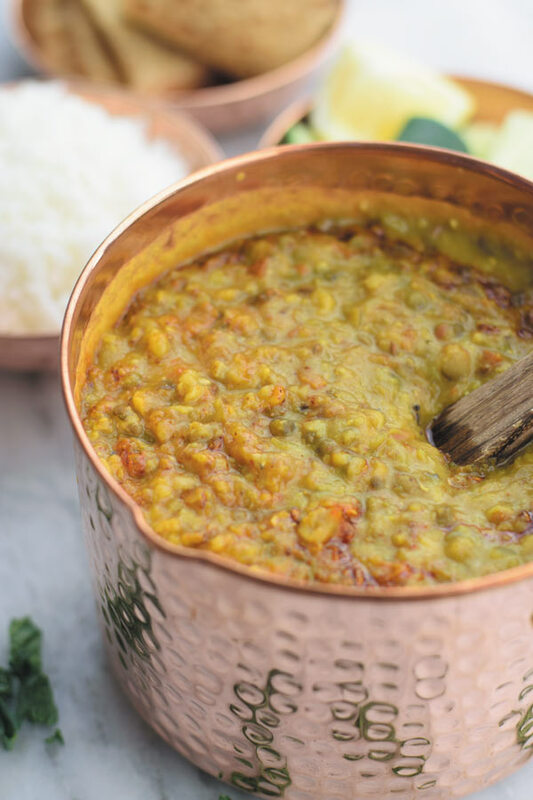 Here I have used 5 kinds of different lentils : BLACK LENTILS (whole black grams or whole urad dal), BENGAL GRAM (chana dal), MOONG LENTILS (yellow moong dal), MASOOR DAL ( red lentils) and SPLIT PIGEON PEAS (arhar dal or tuvar dal). I have linked each one of them so it’s easy for you to find them in case you have no clue which lentil is which. Lentils don’t go bad so if even you don’t cook with lentils enough, dried lentils stored in airtight jars stay good for upto a year or so. So it’s one time investment but a really affordable source of protein. I cook all the 5 lentils together until soft and cooked. Then to it I add sauteed mix of tomatoes and onions and everything is simmered on low. The more you let it simmer, the more creamier the lentils get. 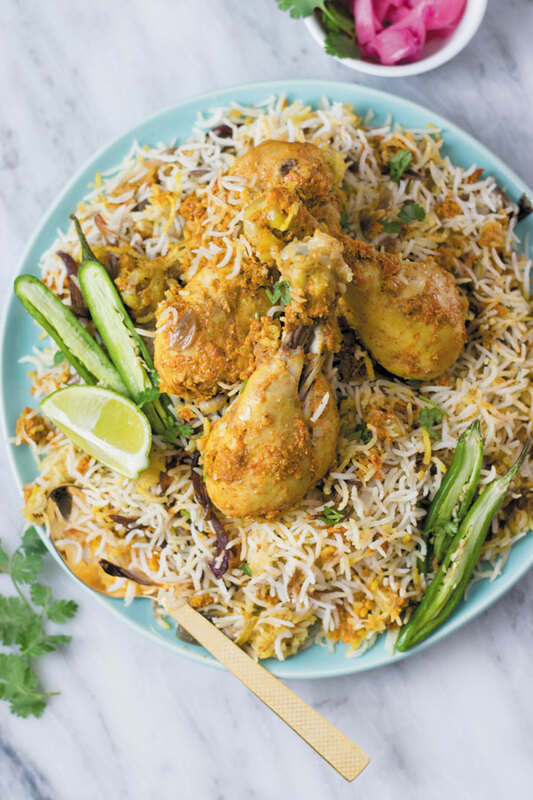 Served over steaming hot basmati rice or eaten with chapatis, this is one meal that will make you feel happy & nourished after eating. I always make extra and freeze the extra to have again in few days or weeks. It’s almost lunch time and I can’t wait to have them again. Mix all 5 lentils and wash them in strainer under running water until water turns clear. To cook, you can either cook lentils in pot or pressure cooker. Add lentils to pot or pressure cooker and add water until lentils are fully covered. Cook until lentils are soft and fully cooked. In pot it will take 20-30 minutes or more/less depending on how fresh or old lentils are. In pressure cooker, it will take around 3-4 whistles. Meanwhile, in another pot, add 1 tbsp ghee. To it add 1 tsp cumin seeds and once it starts to splutter, add ginger paste, garlic paste, onions and salt. Saute on low-medium heat. Add tomatoes, red chili powder, turmeric powder and coriander powder and stir. Keep cooking until tomatoes are cooked. Add this onion-tomato mix to cooked lentils. Stir and cook on low heat. Add more water if it seems too thick. Taste and adjust salt if needed.Simmer for 15-20 minutes and keep stirring in between so it does not stick to the bottom of pot. Just before serving squeeze few drops of lime juice and freshly chopped cilantro if you have any on hand. In a small pot heat remaining 1 tbsp ghee and to it add remianing 1 tsp cumin seeds. Once seeds start to pop, add ½ tsp red chili powder and turn off the gas and immediately take the pot away from gas. Add this to the dal. 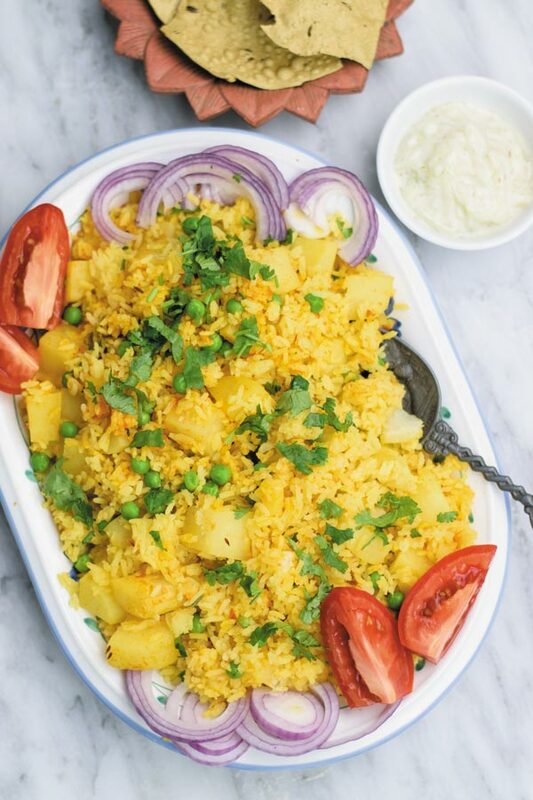 Serve hot with rice or chapatis or loosen it more to serve as soup with bread! So very creamy and delicious! My kind of everyday meal, Ami. I am always looking for new ways to cook lentils! I cannot wait to try this! It looks great! Looooove this. Man I wish I had this in front of me right now! It looks so warm and comforting. I have an ooooold recipe on my blog for Dal Makhani. Haven’t made it in years. Yours looks amazing. So delicious! !